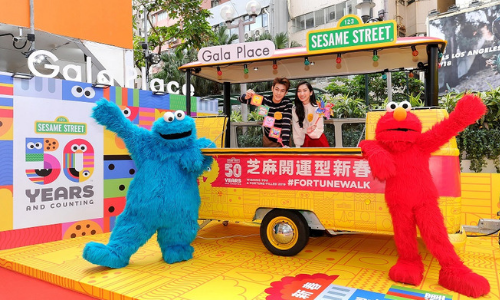 Hang Lung Properties’ four major shopping malls, namely Fashion Walk in Causeway Bay, and Grand Plaza, Hollywood Plaza, and Gala Place in Mongkok, have launched the Fortune Walk campaign to celebrate Sesame Street’s 50th anniversary and to welcome the Chinese New Year. 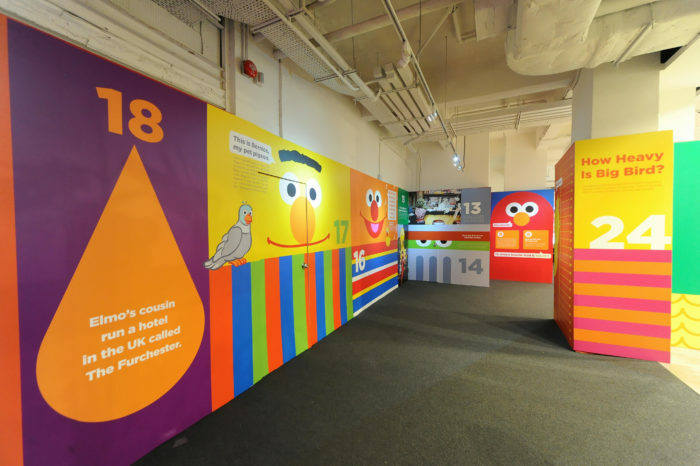 Running from 10 January to 19 February 2019, the campaign unveils a new graphics style for Sesame Street which blends into the traditional Chinese New Year’s decorations and a series of activations. Fashion Walk, Grand Plaza, Hollywood Plaza, and Gala Place will be turned into a giant board game entitled “Fortune Walk”. Visitors can register online for welcome gifts, and move through the stages of the board game to win rewards along the way by answering simple questions. 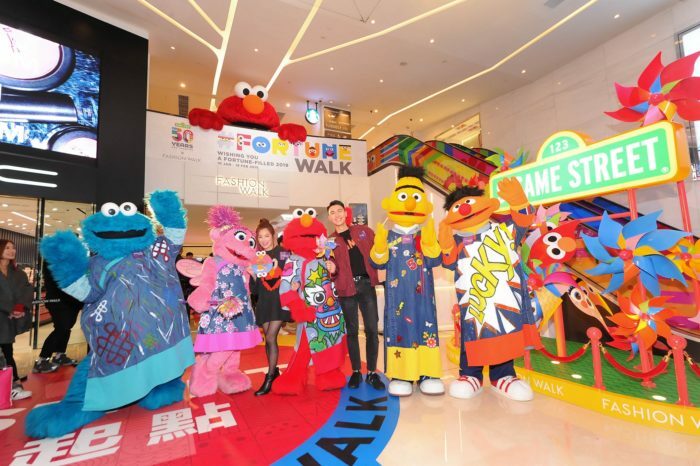 This Chinese New Year, Fashion Walk will host a Sesame Street 50 Fun Facts Exhibition featuring some entertaining and never-been-told facts about the characters, programme and history behind the classic US TV show. Meanwhile, familiar scenes from the show will be set up in Mongkok, along with festive decorations. In addition, a pop-up store featuring an array of new merchandise for the show’s 50th anniversary will be launched. With an e-payment receipt from stores in Grand Plaza, Hollywood Plaza and Gala Place, customers will receive a HKD$10 discount. Customers can also redeem Sesame Street limited edition couplets and a windmill. Fashion Walk, Grand Plaza, Hollywood Plaza, and Gala Place have crafted a series of Sesame Street-themed items in celebration of the show’s 50th anniversary as well as for the Chinese New Year, as part of its Fortune Walk campaign. Items include red packets, memo pads, umbrellas, chess sets, and a luggage belt. Sesame Street will collaborate with Lof10 Corner, a boutique café in Grand Plaza, and run the Sesame Street Fortune Pop-up Café, featuring the show’s latest graphics style created for its 50th-anniversary celebration. A series of Sesame Street-inspired Chinese New Year nibbles and drinks, such as Elmo’s Strawberry Tea Cheese Milk Foam, Big Bird’s Pineapple Tea Cheese Milk Foam, Cookie Monster’s Sesame crackers, Cookie Monster’s Maple Syrup Pancakes, and Black Sesame Oak Lattes will be available for a limited period. 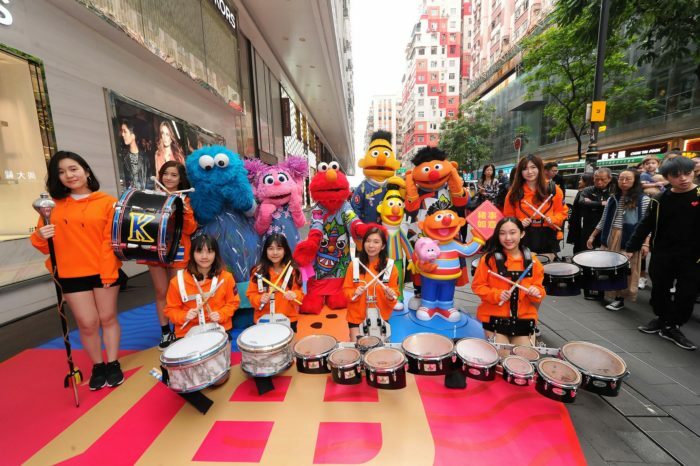 As part of the campaign, Eight of the show’s characters – Elmo, Cookie Monster, Big Bird, Bert, Ernie, Abby Cadabby, Grover, and Oscar the Grouch, will be dressed in traditional Chinese attire and make appearances in the streets of Causeway Bay and Mongkok. There will be a Sesame Street themed parade. The classic yellow school bus from Sesame Street will park at its terminus in Gala Place, Mongkok for fans to greet the characters. Is the ad world still gender-biased? “How can middle aged white men know what young girls want today? It is sad that the people who populate ad agencies are not mirror.. The convergence of digital and traditional advertising, and the massive volume of data that is now available, means advertisers ca..